How do you keep your field agents up-to-date in real time? Do they have the information needed to get the job done effectively and efficiently? Always connected through the mobile app, you can provide your field agents with complete customer insight, resolution guidance, real-time status updates, digital customer signatures, dynamic schedule updates and much more. Equipped with offline mode, you can ensure your field agents have access to all the customer, equipment and resolution guidance they need, no matter their location. Do you have a real-time view of all your resources and jobs? With a consolidated and simplified view of your field operations, as well as assistance from smart scheduling tools, you can ensure you deploy the best resources with the right skills, to the right location, to ensure you meeting your SLA's and customer expectations. The mobile app helps track time and keep field agents connected with real-time status updates (traveling, in progress, on break, etc) and dynamic schedule updates. Easily manage all inventory and purchasing for a field agent's daily routine and easily integrate with your back office accounting and inventory systems. Relate service visits to customer assets and build service history to assist with preventative maintenance scheduling. Additionally, enable returns to vendors, defects, and customer dissatisfaction against customer assets to improve future performance. The digital transformation of field service offers the power to compete with leaders head on in your industry. Enable your employees to do more by making better use of technology across the board. With fully-integrated Field Service you can leverage case management, sales, customer service, access to unlimited information and much more, driving streamlined and connected business processes for every role. Scale, enter new markets, and respond to customer needs like never before. Jobs have become more complex and diverse in the last 10-20 years, and jobs in field service organizations are no exception. 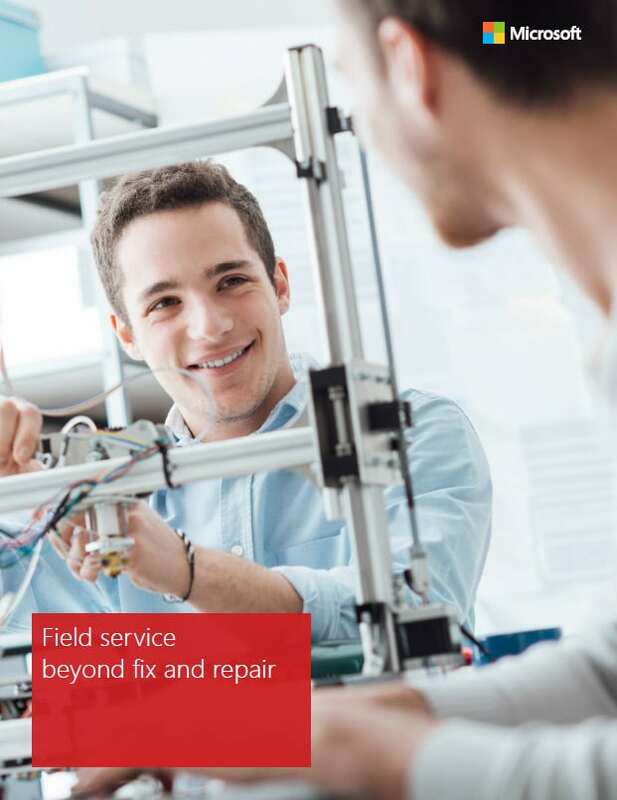 Regardless of where you work within a field service organization (FSO), you could answer the above question by saying something about fixing and repairing, or helping customers solve problems, or something about customer experience and satisfaction.